How we love design, is nothing new to anyone. But what if we tell you that we like cinema in the same proportion, can you believe? So we launched the proposal to unite these two things, here in our Blog, in the section Design in Scene. We've talked about aesthetics, architecture, and design in the Wes Anderson, Stanley Kubrick and Alfred Hitchcock movies. Now, comes his turn, the master of contrast and obscurantism with touches of humor, Tim Burton. Over a little more than three decades, Tim Burton has managed to impress his identity and style so particular in all his cinematographic productions. All of his movies always left us the idea of "how those eccentric, crazy ideas came out of his head?" Tim Burton drinks in many different sources to build this dark aesthetic with touches of humor, which has become the trademark of his films. His main creative references came when the director was still young, through the thriller stories of Edgar Alan Poe and Vincent Price's movies. Over time, Burton has added aspects borrowed from german expressionism and from the victorian style of the XIX century, as well as from several other references in the history of art. Just like Hitchcock, films like "The Cabinet of Dr. Caligari" (1920) and "Metropolis" (1927), influenced Tim Burton in the creation of aesthetics permeated by contrast, chaos and tragicomic characters. 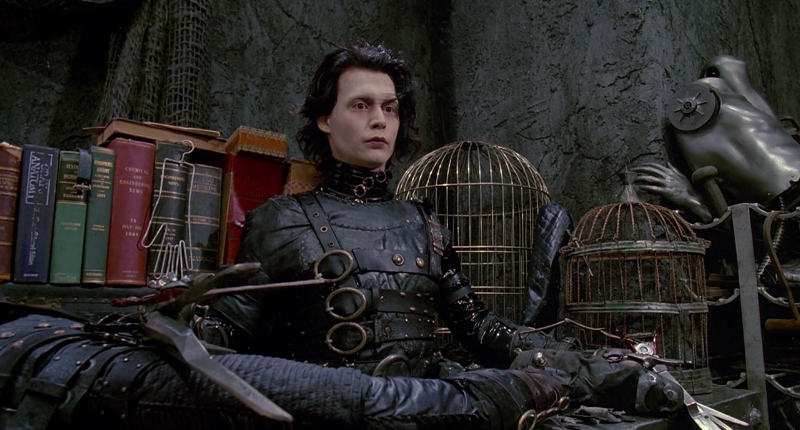 All of Tim Burton's movies follow a more obscure, gothic line, with dark scenes or predominantly black and white. However, the way to mark the film with its unmistakable style, is to permeate the stories with a little madness, acid humor and eccentric and psychologically unstable characters, such as the mad hatter in "Alice in Wonderland" (2010), Willy Wonka, in "Charlie and the Chocolate Factory" (2005), and Edward in "Edward Scissorhands" (1990). We can observe that some elements and characteristics of characters usually repeat themselves frequently. Dry trees with twisted branches, striped costumes, whitish and pale characters, heroines with blond hair and exquisite dresses are just a few examples. Tim Burton's movies now have a futuristic design, sometimes reminiscent of the past. They also abuse the light and dark, the color and the gloomy. In the movie "Alice in Wonderland" the realm of good is excessively white, while the realm of evil is completely red. This goes from the characterization of the characters to the scene elements. So is the quiet pastel-colored neighborhood, contrasted with the black and decaying castle where Edward Scissorhands takes refuge. As has already been said, there is an obscure universe in Burton's movies, but it is always counterbalanced by vivid colors, which even contribute to texture and depth to scenes. The depth effect helps the viewer to get in and get involved with the scene. Notice how this strategy works in the picture below. In the foreground the intense colors, with the help of lighting effects, help give a more real shape to the flowers and depth to the photograph. The feeling is that it is almost possible to touch the flowers. The director also plays with colors helping the viewer identify feelings and emotions. When there is conflict, scenarios and characters gain pale tones. In Sweenney Todd (2007) this becomes even more noticeable when the blood red burst from the blood of the barber's clients upset. A fantastic universe with huge-eyed characters, striped cat that appears and disappears, performative oompa loompas, shocking colors, chaotic scenarios... 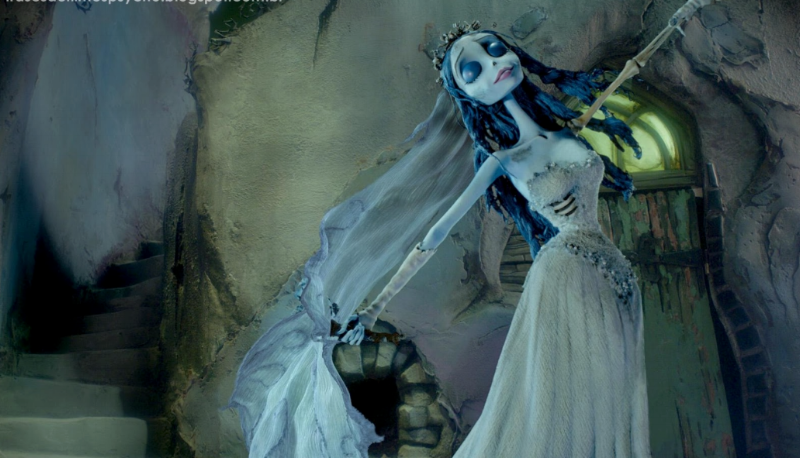 This is the psychedelic of Tim Burton's movies. As a curious and creative kid, the filmmaker gives vent to everything he has been experiencing in life, through his films. Suspense literature, drawings, paintings, amateur movies, libertarian thoughts, elements of the counterculture, hippie movement, pop culture, surrealism... All this mixed up has resulted in some of Hollywood's biggest hits. A save to Tim Burton and all that imaginative potential!